In October 2014, our family health insurance situation drastically changed and all the sudden I felt this huge responsibility to keep my young family healthy and OUT of the doctor’s office as much as possible! A friend introduced us to essential oils and we jumped in – hoping this would be our answer for preventative health and overall wellness support. BINGO! Using essential oils has exceeded our expectations in every way. I believe every family needs these oils and chemical-free products! Young Living has made is super easy to transition to a high-quality, chemical free lifestyle for my family. 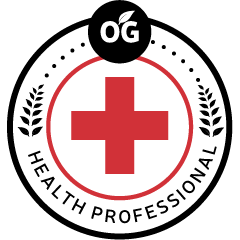 With my medical background and love for teaching, I am able to greatly support anyone who has a passion for prevention, wellness and health education. We are finding freedom in every way – wellness, spiritual and financial. We’d love to welcome you to join our fast growing team! Thank you for offering an opportunity to try out some of the oils! I was definitely a skeptic, but now in a believer! I wanted to try this for my daughter. She has terrible seasonal discomfort and nothing we try gives her long term relief. We applied the oils daily to her symptoms completely resolved. Finally!! The relief she needed!! Just to let you know, I feel much better. I did what you said and I can breathe! I am going to diffuse a little at bedtime. I am going to love Young Living. Thanks, Shannon! I'd love to hear from you and answer any question you might have about Young Living, essential oils, wellness coaching requests - or whatever is on your mind! 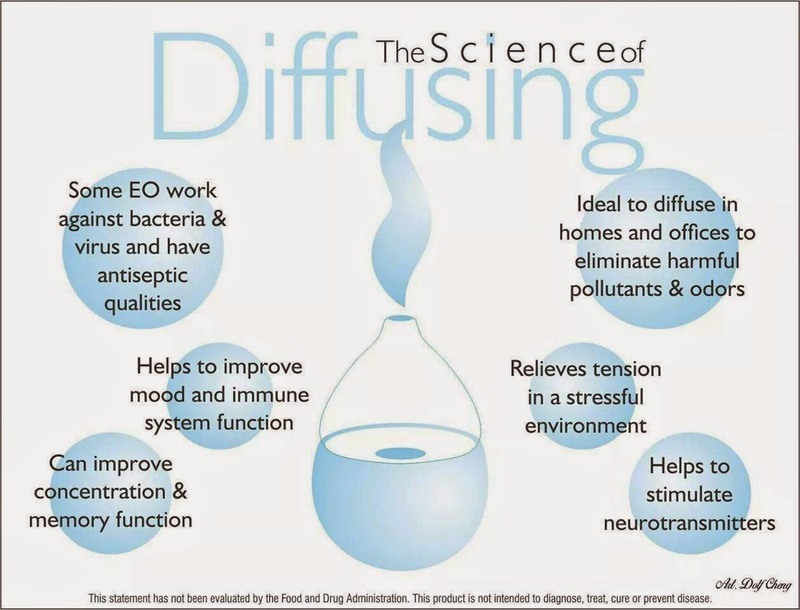 One of my favorite ways to use my Young Living essential oils is in my diffuser! We have completely replaced the need for candles or plug-ins of any kind in our house. Instead we use therapeutic grade oils to permeate our rooms, fill our senses and support our family’s wellness! Because so many of you enjoy your diffusers, I thought I’d share an online presentation my team and I put together as a means to provide continued education about the different kinds of diffusers out there, how they work and some fun recipes we enjoy. Here’s a great tutorial video by Natalie and Kendal Shelton that demonstrates how to use both of these diffusers. They’ll also give you a few helpful tips! This amazing diffuser is now available to include with the Premium Starter Kit! Here’s a video describing this amazing diffuser. WOW! There’s never a reason to be somewhere without a diffuser! These fliers can be found in the “Member Resources” section of your Young Living Virtual Office (for current members). There you can print it out and use as a reference or to share with others. Here’s a link to see all the diffuser accessories that Young Living offers! 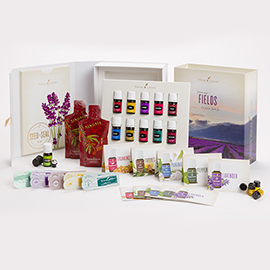 It’s an amazing deal that diffusers are included in the Young Living Premium Starter Kit! As you can see, we have access to so many awesome tools to use with our essential oils. Check out Post #2 with cleaning tips and recipes. Share in the comments your favorite diffuser so far! My family was introduced to Young Living at a time when I was extremely concerned about keeping us healthy and out of the doctor’s office. Like so many of you, I started using the oils just for my family as a part of our preventative health and wellness routines. I had no intention of this growing into a part time business. But also like many of you, once I saw first hand the power and effectiveness of God-made, therapeutic essential oils, I couldn’t help but share it with those in my circle. As my love for the oils continued to grow, so did my business. I often say I don’t have time or interest in another part-time job. However, I do have time to speak hope and life into many families’ lives through the ministry of essential oils. That is something I now feel called to and receive so much joy from sharing! In addition, the financial benefit and compensation from Young Living have been a huge blessing to my family. Young Living provides an opportunity for regular moms like me to help their families experience financial freedom. I joined the company in October 2014 with a simple investment – the Premium Starter Kit. Shortly thereafter, I hit the ranks of Star and Senior Star, Executive and then Silver in November 2015. I have almost 200 families in my team! Achieving this rank does not happen easily or without effort. I know several of you are aspiring to grow a business with Young Living. It is so possible! I want to give you a glimpse into some very specific steps and actions I took in this journey. Because God has made the oils, He is very interested in how we use and share them! I have prayed over this journey, asked Him what oils to use in various situations, spent time seeking Him through it all. It’s also crucial to print out and pray over your downline often. God needs to be #1 in every area of my life! This is true for all of us no matter what. He has also asked me to tithe my earnings. It is a joy to bless my church with the first portion of my commission checks from Young Living. By taking this step each month, God reminds me that He is in charge and it all belongs to Him! See this as a ministry vs. a business. There was a particular month that I thought I would reach the rank of Silver. I strategized, planned and mapped it all out. In short time, I became miserable! I ceased to have fun because I was so intent and stressed on reaching a goal. God specifically showed me that I needed to shift my focus back to my original love – loving, serving, building relationships and sharing the message of hope with essential oils. When I got back into that mindset and took the pressure off from the business side, I started to have fun again and experience joy and fulfillment. I might make some decisions at times that don’t seem like good business decisions – but it comes from a heart of serving and loving others since this is first a ministry. One way I include my family is in the use of oils. How can I help coach others in how the oils work if we aren’t using them as a family? The boys understand the importance and effectiveness of the oils – and sometimes they are my best salespeople! It is also essential to include your family in the business side of oils. My husband is incredibly supportive of my time and efforts devoted to this venture. He is my business partner and greatest cheerleader. We make all big decisions together as it relates to YL. I have heard many other YL leaders talk about this as well. For the first 9 months I was in YL, I invested 100% of my earnings back into the oils and the business. Just now are we starting to add the commissions to our general family budget. Here are some of the things you could invest your earnings in that would help grow your team: purchasing enough oils to get the promos, Essential Oils Pocket Reference books for your team, business tools, a starter kit for classes, reference books, giveaways, downline tool managers, zyto scanner, etc. We use the oils and all YL products often. This is essential to being able to help those who have specific needs. I also sincerely believe that every single person NEEDS the oils! This is so important! I have been so amazed at all there is to learn, and I have soaked up all kinds of learning through a variety of methods. 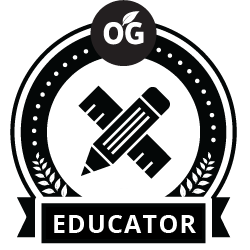 You’ve got to spend time expanding your knowledge of oils, how the compensation plan works, how to excel in the business, how be an effective leader, what seed to seal really means, etc. if you’re going to be successful long-term in this business. I also believe that the 3-week free course offered by our upline Diamond leaders, Oily Gurus University, was a game changer for me and my business. There are also multiple webinars, vimeo clips, podcasts, FB posts, blogs and articles available for those who are interested in absorbing. You might be worried about the time commitment of learning. But I’ve found that I can easily listen to a video or podcast as I’m getting ready, driving in the car or doing dishes. Even a few pages of a book a day will really add up and increase your knowledge of and passion for essential oils. This is no get-rich-quick-scheme! Rather, I am consistently sacrificing my time (10-20 hours/week) and money (giveaways, giving a PSK, free oils or recipes when there’s a need) in order to serve effectively and be successful. I have also given up several personal sponsorships (or Level 1’s) to instead place them under someone in my team that is working on business building. This is a huge sacrifice – but it ends up paying off big time in the end as you develop and grow your teams. Be willing to give up some Level 1’s. 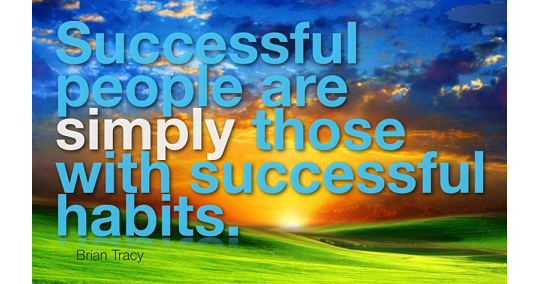 If you want to grow fast, you have to stay busy with a full calendar. This requires 4-6 events or classes a month AND 10-20 hours of time per week. 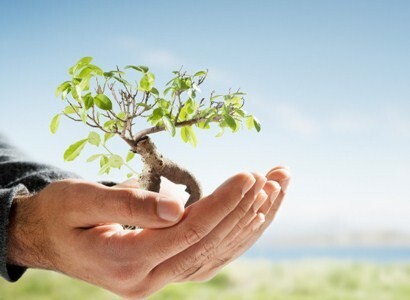 1-3 events per month will grow your business, but it will be a much slower growth. When it gets too serious, it feels like striving and ceases to be a joy. Think about what your goals were in investing in the PSK originally. What excites you about oils? Focus on that message. There will be days when you feel like giving up or you’re discouraged or you have gotten into the wrong mindset. Surround yourself with friends to keep you on track with encouragement, prayer and accountability. It’s much more fun doing classes and events with someone! Think about your reputation. People are watching – and they will not follow your lead if you aren’t living a life of integrity, honesty and credibility. Knowing that I have a team of people following me, a church that is watching me and 3 little boys changes the decisions I make, what I post on social media, and how I interact with others. Right living is important! Not every method of sharing is going to work for every person. I love doing classes, but someone else might not be successful with the class setting. Find what works for you and fits your passion. Some ideas for sharing are: start a blog, FB posts, classes, make & takes, one-on-one meetings, FB classes, printed materials. The sky is the limit. Be creative in sharing! Where are you going and how are you going to get there? Dream, plan, set goals to keep you on track. I have listed out several goals from new classes I want to research and teach to what ranks and income levels I want to achieve. This is powerful! The majority of my text messages these days are oils related. It takes a lot of time, but it has been crucial to helping my team understand how to use the oils effectively in their family. Be available to go to someone’s home and teach about oils. Make phone calls to those in your team, checking in with them, seeing if they have any questions, etc. Know your audience and how they want to communicate and then be intentional about spending time with them. Education is key and it takes time. These are the main ways I have tried to stay focused and serve and educate others about the power of essential oils. I should also say that this success is team-based, and without the resources and serving of all those in my upline, I could not have made it. I love that YL is structured so that we have to serve others sacrificially in order to be successful ourselves. There’s a biblical principle in there! Have fun sharing! I Have My Starter Kit - Now What? I wanted to put a post together that gives you some simple instructions for getting started with your kit. Remember: Start LOW and SLOW!!! Please remember that you have incredible resources at your finger-tips. You can ask or search for any question in the secret Facebook groups to which you have been added. You can also text or call me anytime with questions and we will figure out the answer together! This is one of my favorite ways to use the oils. Your diffuser will cover a 250-350 square foot area with pleasing and therapeutic aromas. My kids love having the diffuser on and often ask for it in their room at night. I will be purchasing more diffusers in the near future; the one we have travels quite a bit from room to room! Fill the diffuser to the fill line with water, then add 4-6 drops of oils. Feel free to mix oils! One of my favorites for a “happy day” is Joy + Peppermint. The possibilities are endless and you can find an abundance of recipes on Pinterest or Google. When we are faced with immune system attacks, I diffuse Thieves with either Lemon or Purification. For digestive support, we diffuse Peppermint. For relaxation time, we diffuse Lavender. When I’m cleaning and want a “clean-house” smell, I diffuse Lemon or Purification (or both!). If you don’t have your diffuser handy, you can put 1 drop of your oil of choice on your hands, rub them together and inhale. We put 1-2 drops of Lemon in our water daily. This helps support our immune system in a powerful way! It is delicious – and for many, this tip has helped them kick the soda habit! Be sure to use only a glass or stainless steel container – not plastic – when you are drinking an oil. For respiratory support, we mix 1-2 drops each of Lemon and Thieves and put it in a mug with hot water and honey. This recipe is referred to as “Thieves Tea” and is so soothing and immune-supporting. For digestive needs, I put 1 drop of Peppermint on my thumb and press my thumb to the roof of my mouth for 10 seconds. This quick-absorption brings almost immediate relief. I also like to add Peppermint and DiGize in a capsule and swallow. When faced with seasonal issues, ingest a drop of Lavender, Lemon and Peppermint – either with water in a shot glass or in a capsule. I love applying the oils directly to my skin! Do not be afraid to use the oils topically – this is a very effective means of experiencing the benefit the oils can bring. Sometimes you’ll need to apply an oil repeatedly to experience relief. We apply Thieves and Lemon almost daily to keep their immune systems strong. 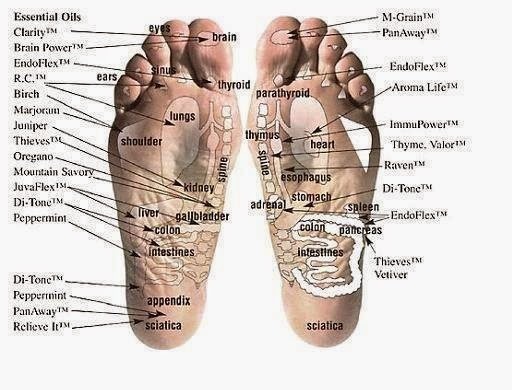 Valor and Peace and Calming applied to the Big Toe help with some nervous system responses. I apply a drop of Stress Away to my wrists daily (sometimes multiple times a day!). Don’t hesitate to apply PanAway for a massage. Peppermint can also help the nervous system or respiratory system when applied to the temples. Oils like Frankincense are effective for skin health. If you get any type of burn, immediately apply Lavender to the site. In the oil world, the word “neat” means to apply directly without adding a “carrier oil” such as coconut or olive oil. Most oils can be applied directly to the skin without an oil. Some oils are best diluted. For younger kids, it is recommended to dilute most oils when applying them. Actually, diluting the oil does not decrease the effectiveness of the oil AND it increases the life-time of the oil so you don’t run out of it as quickly! You can mix an oil or recipe of oils in olive oil or coconut oil and then rub on the skin. We do this most often with Peppermint, a “hot” oil. I hope these tips have been helpful as you jump in and start using your oils. If you’re not seeing improvement of symptoms, then you’re not using the oils enough or in the right way. Keep trying and asking questions until you find what works for you! We are here to help and are excited to hear the stories of how your family will benefit and be blessed by Essential Oils. Feel free to comment with other ways you have used the PSK oils. If you’ve read this and would like to order this for your family, click here for more information. Several of you have asked for more information about the Essential Oils my family is using. Here is my attempt to answer your common questions and give you insight into how Essential Oils have greatly benefited my family. Our health insurance situation changed in the fall of 2014. One of the outcomes of this change was I suddenly felt more responsible to keep my family healthy! (What a concept, right?!?!) I had a friend who had posted on social media about her experience with Essential Oils, so I asked her to come and teach me. I did some research on my own, looked into the company, heard her testimony and decided to make the investment and try them out. There’s something very peaceful and exciting about using God-made tools to supplement our health. God made the plants and oils that come from them, and His ways are perfect! We definitely believe in many advantages of modern medicine, but we do not want to be unbalanced and totally dependent on something that’s been around for 100 years – when Essential Oils have been around since Bible times! Did you know that oils are referenced over 600 times in the Bible? To be honest, the more I learn about the chemistry and efficacy of pure, therapeutic grade essential oils, the more I am absolutely fascinated. Of course a Supreme Creator God would design a tool for our healing and wellness that is amazing and exceeds our limited understanding! I believe that God intends for us to live a life of fullness and abundance on this earth. (John 10:10) Oils, along with proper nutrition, adequate sleep and activity, healthy relationships, Sabbath time and a vibrant spiritual life, together help us experience that intended abundant life. We consistently use 5-10 different oils a day (sometimes more!) and now they are our immediate go-to for initial treatment. Our use of over-the-counter medicines has decreased drastically, and I know we have made a significant investment in our overall, long-term health. 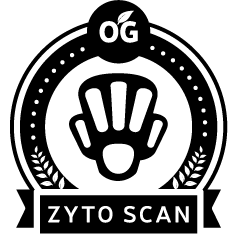 We have experienced drastic improvement in our immune system response, better digestive support and strong emotional support. We get so excited recounting all the ways they have blessed our family! Essential Oils are derived from plant products, and they work at the cellular level in our bodies to bring about therapeutic change and benefits. They are non-toxic, have no significant side effects, are safe and can benefit everyone! 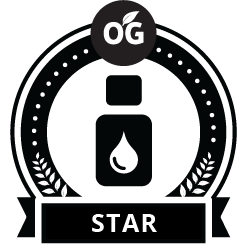 Here are some basic benefits we have experienced with each of the oils in the Premium Starter Kit. I’ll list the benefits in a bullet point format – though sometime I’d love to tell you the STORY behind how each one worked for us! Young living has over 450 products, and someday I hope to own them all!! But the PSK is the best deal for starting out. It contains 11 bottles of oils, various other samples and a home diffuser. Called the “Swiss Army Knife of Oils” because of so many uses – over 800!!! Powerful skin support; I use it in my facial mixture daily. Incredibly relaxing and comforting in the diffuser! We use Thieves cleaner instead of all other toxic, chemical-laden cleaners. We will not EVER be without this one!! Great for winter wellness. Great icy hot feel on sore muscles in my shoulders and neck. Contains wintergreen, which is often used for massage. This is the 1st oil I ran out of – I use it all of the time! So cleansing and refreshing. Love to diffuse and make the house smell fresh. Put in steam mop or dusting rags as I clean. It took up stains on the couch that nothing else could touch! We all put a drop of lemon in our water at least once a day to build our immunity. We apply it with Thieves to the feet to keep us well. It takes 75 lemons to make 1 bottle of lemon essential oil – very concentrated and powerful. Need I say more???? WOW! I apply this daily to my wrists (some days require multiple applications!). LOVE. THIS. ONE. Our go-to for anything related to the digestive system! This stays in my purse at all times. Supports the nervous, respiratory and digestive systems. Delicious in coffee, hot chocolate and baked goods. Energizing and uplifting. I add it as a combo with many other essential oils in my diffuser. 1 drop is the equivalent of 25-28 cups of peppermint tea. Potent! Add to skin products to moisturize and improve the appearance of skin. Love to diffuse this to cleanse the air of odors and germs. Use it in the steam mop or when cleaning – smells amazing and cleans wonderfully! We add this to thieves and lemon to strengthen the immune system. Known as a holy anointing oil, used for thousands of years. I’ve started diffusing or applying Frankincense during my daily devotions. Use to support more intense digestive needs. Contains fennel that dates back to ancient Egyptians. Makes your belly happy! – safe to use on little ones with unhappy bellies. This is an immune-building wellness drink made primarily from the wolfberry plant and essential oils. Powerful anti-oxidant and full of highly-absorbable nutrition. I’ve noticed more sustained energy; I’m able to stay up a little bit longer than the kids now!! The starter kit comes with 2 sample packets of this. Put it in the fridge and drink cold. Delicious and so supportive to overall health and wellbeing. We also love: Cedarwood (out like a light! ), Peace and Calming (even calms the dog down! ), Orange (delish! ), Vetiver (neurological support), Ylang Ylang (HAPPY! ), and Oregano (immune support). If you are interested in trying the oils (I guarantee you will see multiple benefits if you are using them often! ), then I strongly recommend you start out with the Premium Starter Kit. You get 11 bottles of oils, sample packets of Ninxgia Red, samples of oils to put in your purse or give to others, a Home or Dewdrop Diffuser, and lots of written information – over a $300 value. It allows you to make future purchases of oils at the Wholesale vs. Retail rate – a 24% savings. It sets you up to receive commissions if you share the oils with others- though there is zero obligation to sell or share anything with anyone. To order the Premium Starter Kit, go here. First -a couple of notes!! Be sure to choose “Wholesale Member” to get the best pricing! Choose the “Premium Starter Kit” and the diffuser of your choice. 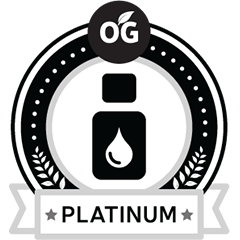 Essential Rewards is a great option if you think you’ll want to purchase oils regularly. If you just want to order the PSK for now, click “No, thank you” under Optional Step 3. Once you order, I will add you to some phenomenal Facebook groups where you will learn all about how to use the oils on a daily basis. This resource is amazing and something I rely on daily! I will also make myself available to help teach you personally how to make the most use of your oils. We can get together over coffee or hold a class in your home. I hope this has been helpful. Please don’t hesitate to reach out if I can do anything to help you on your oily journey to better health! Shannon is a Louisville essential oils distributor. Use the contact form to get in touch with Shannon. Want to learn more? 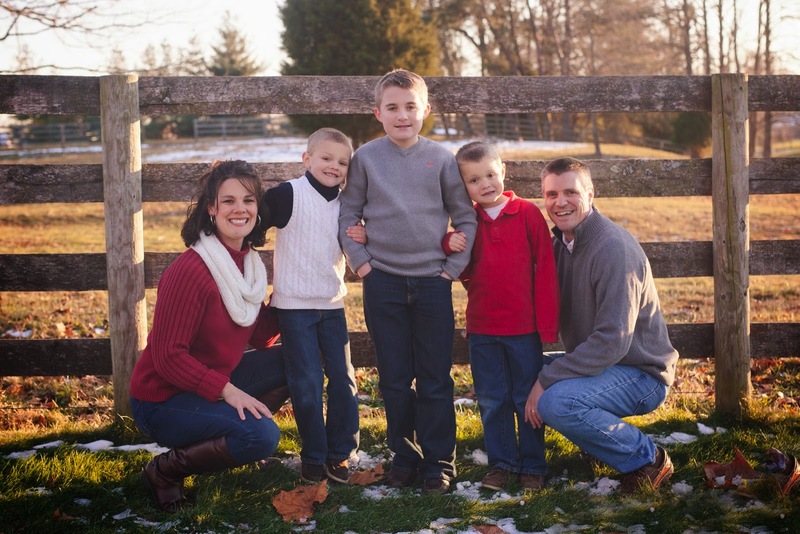 Contact Shannon Carroll — A Louisville Young Living essential oils distributor.